Volkswagen has been on an EV kick lately. They have recognized Tesla as a huge competitor for future markets and are working around the clock to develop a successor to their gasoline-powered lineup. Fortunately, they're already on the ball and have confirmed four EVs to be released within the early 2020s. 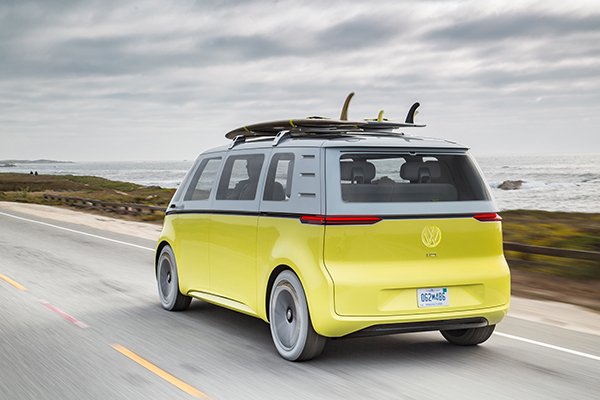 At Pebble Beach today, Volkswagen confirmed the green-lighting of the fifth model to be included in the I.D. family - the Buzz. 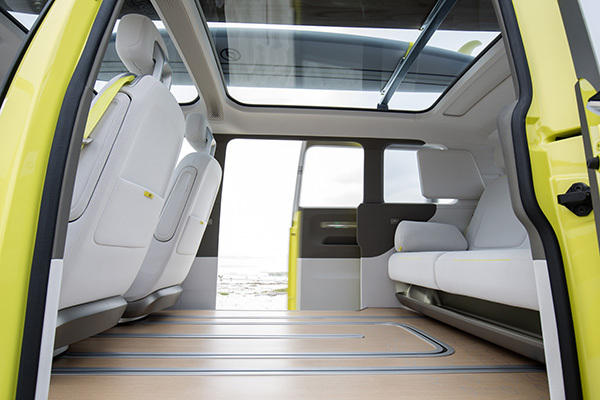 We've come a long way from the original design of the bus, which Volkswagen marketed as the station wagon. Families and businesses alike used the early models for their every day needs, as it was not only a family "wagon", but also came in windowless and pickup-like variants. Hippies loved it in the '70s and today, it is an icon of the past. Now, instead of a rear-mounted air cooled gasoline engine, two electric motors and a big battery will take its place and a bit more of a modern take is bestowed upon a classic design. The decision to build the Buzz came after the public pleaded for its production. 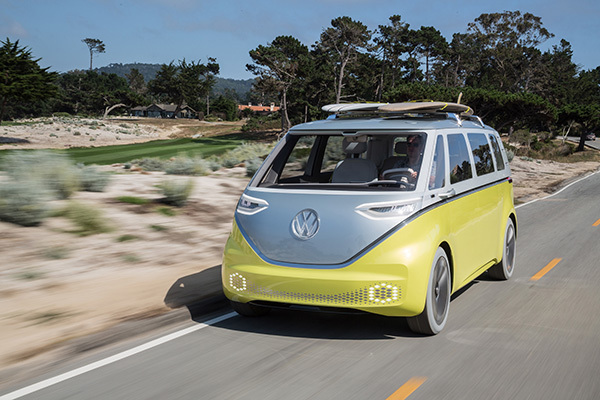 "After the presentations at the global motor shows in Detroit and Geneva, we received a large number of letters and emails from customers who said, ‘please build this car'," says Dr. Herbert Diess, CEO of Volkswagen, "The Microbus has long been part of the California lifestyle. Now we’re bringing it back by reinventing it as an electric vehicle." Don't worry about power or lack of range. 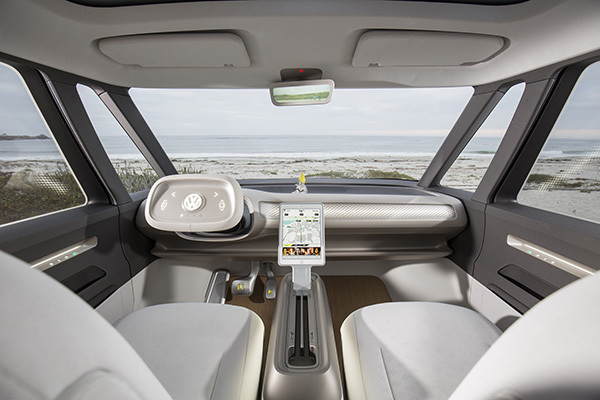 Volkswagen has ensured that the Buzz would be packing dual electric motors, meaning all-wheel-drive, packing about 369 horsepower to the wheels. A 111 kWh battery pack should provide around 270 miles to a charge, meaning this thing is either not so aerodynamic, or it's going to be very heavy. Another version is slated for production as well, packing a single motor putting 268 horsepower to the rear wheels. 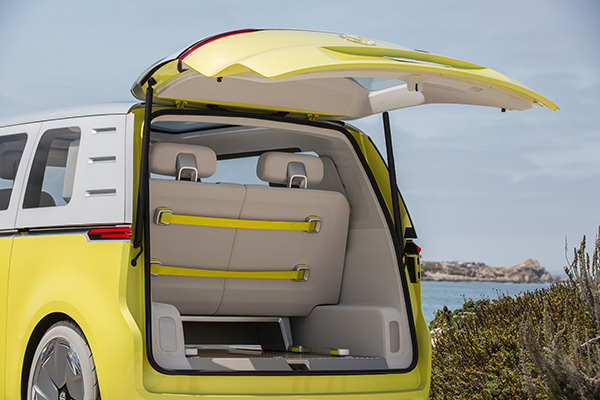 Its smaller, 83 kWh battery, will provide a lesser range of around 200 miles. The good news is that the beefier of the two will be pretty quick! Though its top speed is only 99 miles per hour, its 0-60 times are around 5 seconds. Pretty impressive for your mother's new soccer van. 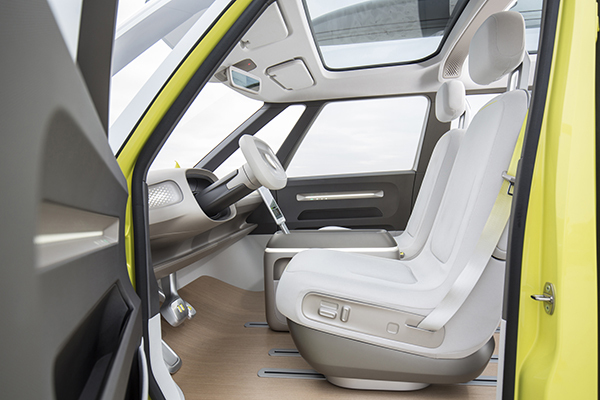 For some added coolness, check out the interior. 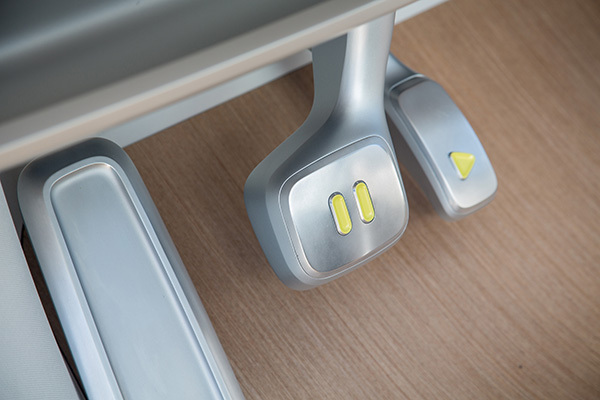 A rectangular steering wheel, a single center mounted portrait-oriented display with no speedometer (much like the Tesla Model 3), some nifty stuff on the floor that appears to be tracking so the seats can move and pivot, and lastly - probably the smallest, coolest touch - is the play/pause buttons on the gas and brake pedals.